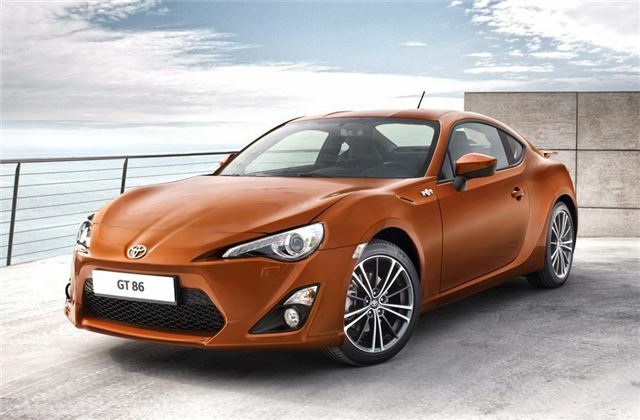 Toyota has confirmed that the new Toyota GT 86 will cost just £24,995 when it goes on sale this summer. The new two-seater sports car is the sister model to the Subaru BRZ. Unveiled at the 2011 Tokyo Motor Show, the GT 86 is built on a new platform and has been designed as a driver focussed car with a light kerbweight, free-revving engine and responsive steering. Rather than fitting a large capacity or turbocharged engine, Toyota has gone for naturally aspirated engine. The 2.0-litre develops 197bhp at 7000rpm with maximumtorque of 205Nm to 6600rpm. Toyota has added its D-4S injection technology to the Subaru naturally aspirated boxer engine. This system features separate twin injectors, increasing power and torque across a wide range of enginespeeds. It's fitted with a six-speed manualgearbox as standard while a six-speed automatic is an option. The GT 86 also gets a limited slip differential to give the best possible grip while the stability control system can be set to intervene later during more dynamic driving. While £24,995 is the entry-level price, further pricing and specification details will be announced nearer the time of launch in June 2012. Advanced orders are being taken for the GT 86, with many UK customers already signed up.